WASHINGTON — Attorney General William Barr on Thursday defended his handling of special counsel Robert Mueller’s report on the Russia investigation, saying the document contains sensitive grand jury material that prevented it from being immediately released to the public. In his statement, Barr defended the decision to release a brief summary letter two days after receiving the report on March 22. He previously said he wanted to release the entire document in gradual or piecemeal fashion. He is now expected to release the entire report, with some redactions, by mid-April. 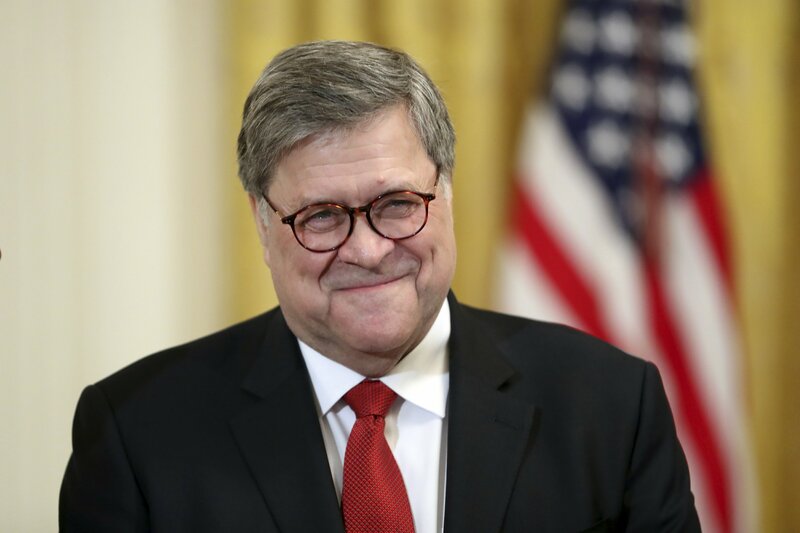 “Given the extraordinary public interest in the matter, the Attorney General decided to release the report’s bottom-line findings and his conclusions immediately — without attempting to summarize the report — with the understanding that the report itself would be released after the redaction process,” Barr’s statement said. A Justice Department official, speaking Thursday on condition of anonymity to discuss a confidential process, said summaries of the findings that Mueller’s team included as part of its report also contained grand jury information. Barr has said that while Mueller did not establish a criminal conspiracy between Russia and the Trump campaign, the special counsel left open a decision on whether the president had tried to obstruct the Russia investigation. The Mueller team laid out evidence on both sides of the question in a way that neither alleged a crime nor exonerated Trump, according to Barr’s letter from last month.